A flexible and comfortable mask, with fabric lining. 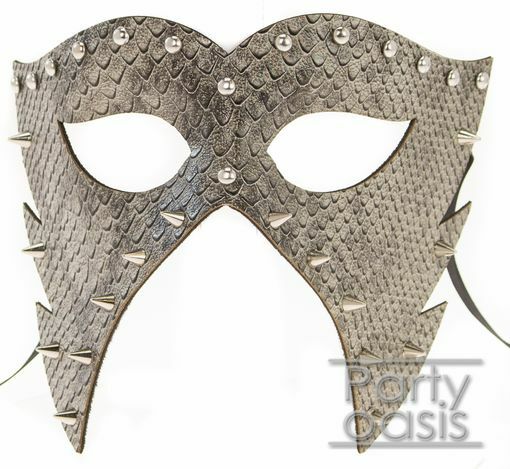 It has a printed snake design with metal studs across the top, down the bridge of the nose, and metal spikes along the sides and cheeks. Each mask measures 6.5�W x 5.5�H x 3�D, and comes with black ribbon ties.